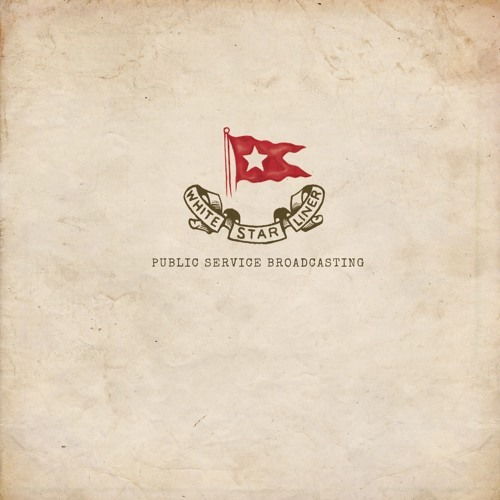 Public Service Broadcasting quietly released White Star Liner last year without much fanfare. The trio has consistently tackled historical themes including space exploration to coal mining so it’s only fitting that they tackle the massive sinking of the Titanic. “The Unsinkable Ship” takes a grand turn as we hear a man recount the wonder and awe that he experienced as a child while they were constructing the massive ship in Belfast, Ireland. “White Star Liner” captures the specifics of the actual ship making sail against a spaced out chorus singing “White Star Liner” which was the company that built the RMS Titanic. The final two tracks capture the actual demise and aftermath of the grand ship. “C-Q-D” was the actual distress call used once they sent out the call. The track is definitely foreboding and dark with a bit of a Kraftwerk vibe going on as a person admits to having nightmares from that fateful night. “The Deep” allows the listener to only imagine what it might be like while the ship is underwater, while people are desperately trying to survive in that cold, frozen water. The end sums up the thoughts of everyone – if there were enough life boats, no one would have died that night. White Star Liner was a nice surprise from PSB. We wonder if another themed album will be surfacing soon, and can only imagine what historical time or event in history the band will tackle next. White Star Liner is out on PIAS Recordings.